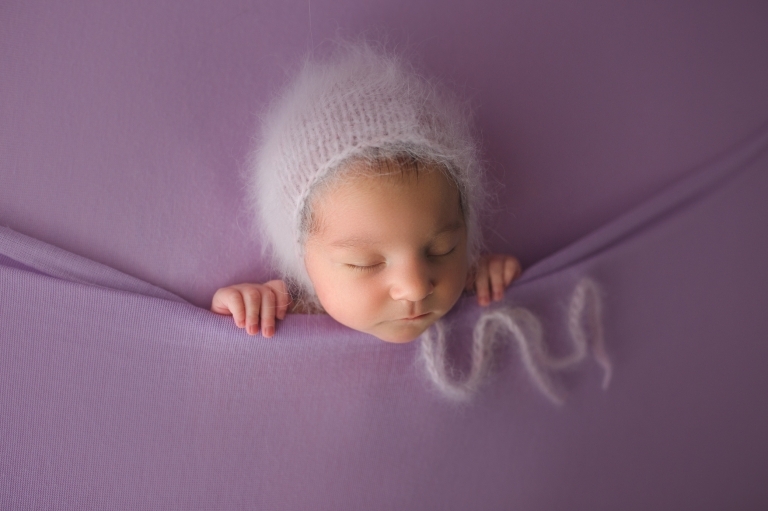 When I was asked to be this family’s Olympia Newborn Photographer, I was very honored! Mom called me and told me that they were new to the area. They are a military family and just moved to Washington from Hawaii! She wanted a maternity and newborn session for her little girl, so I was able to photograph them through the entire journey! When the family arrived to my downtown Puyallup studio, the first thing I noticed was baby’s beautiful skin! She had the prettiest skin tone and the cutest little features! 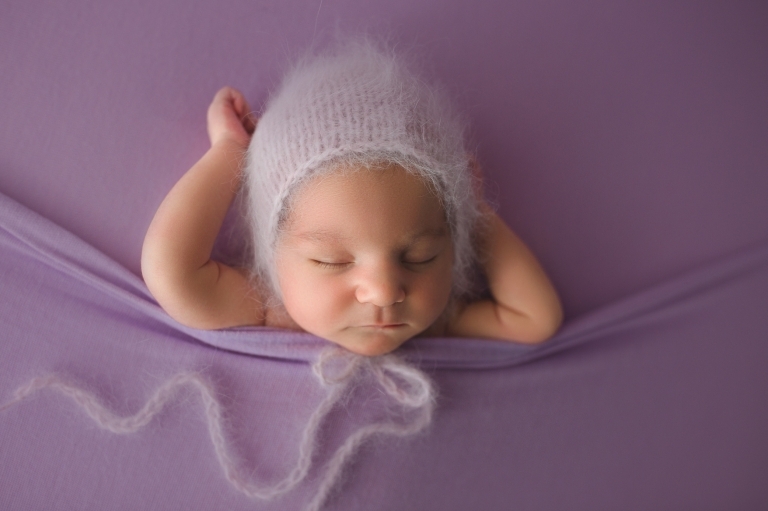 Mom chose purple for their newborn session and it couldn’t have looked any better on their baby girl! Purple is my favorite color, so when parents choose it for their session, I always do a little happy dance! I loved every minute of this family’s baby session and their newborn slept the entire time! I couldn’t have asked for a better little girl to photograph!